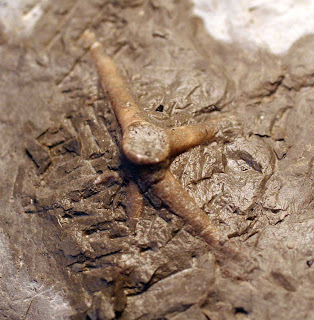 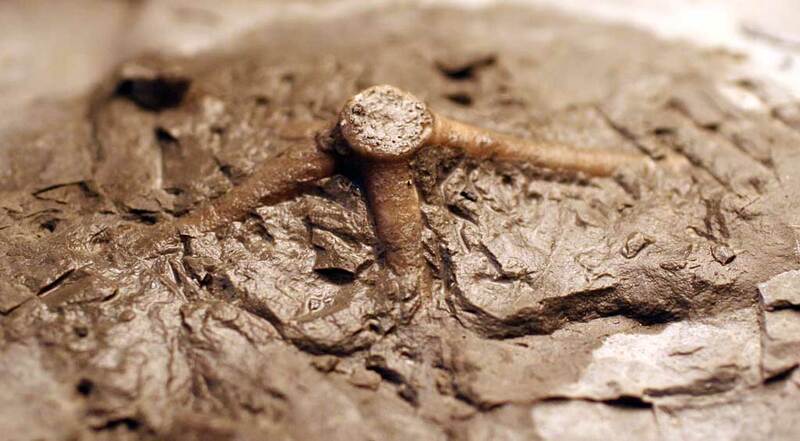 Unidentified crinoid holdfast embedded in Waldron Shale of Clark County, Indiana. Currently working with the engraver to expose more of the fossil to see how extensive the root system is. 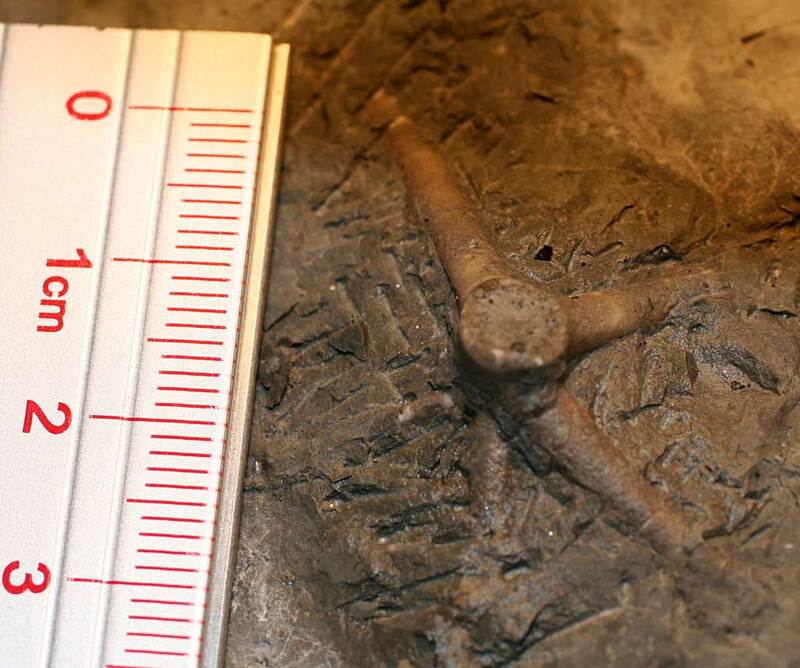 Fossil dates to Middle Silurian Period.